Seven-year old Riley Taylor was eating chocolate chip pancakes for breakfast. I put a piece of paper in front of her. It contained a list of seventeen countries. Each represented a different country’s stock market index fund. “Riley, please pick five of these countries,” I asked. She chose Japan first. “I chose Japan because I really like dumplings,” she said. Riley picked Italy next. “Gelato comes from Italy,” she said. “And I really like Gelato.” She followed up with three other countries: Canada, Singapore and France. I then asked Riley and her eight-year old sister, Mackenzie, to select a series of index funds that represented five different asset classes or stock market sectors. I wanted to back-test their portfolios to see if they would have beaten the performance of Harvard’s endowment fund over the past ten years. That might sound like a silly quest. After all, Ivy League colleges, like Harvard, hire some of the world’s best investment managers. They watch the market like hawks, keeping an eye on global interest rates. They try to pick the best stocks and the strongest asset classes. But beating the Ivy League pros isn’t as tough as you might think. For example, over the ten-year period ending December 31, 2017, Vanguard’s Balanced Index (VBIAX) trounced the collective returns of the Ivy League endowment funds. The balanced index gained a compound average return of 7.13 percent per year over the 10-year period. That beat Harvard, Yale, Dartmouth, U of Penn, Columbia, Cornell and Brown University. Only Princeton did better. Its endowment beat Vanguard’s balanced index by just 0.05 percent per year. Vanguard’s Balanced Index contains about 60 percent U.S. stocks, 40 percent U.S. bonds. But I haven’t compared apples-to-apples. After all, college endowments are usually more diversified. Enter 7-year old Riley Taylor and her 8-year old sister, Mackenzie. They don’t know anything about the stock market. But that doesn’t mean they can’t beat the pros with a more diversified portfolio of low-cost index funds. I asked the girls to pick ETFs from five fund categories: International Equities; U.S. All-Cap; Real Estate; Industry ETFs; and Government Bond ETFs. I gave them a list of every available iShares fund for each respective category. I used portfoliovisualizer.com to back-test their performance. Riley’s portfolio earned a compound annual return of 5.48 percent over the past 10 years. Despite being distracted by her chocolate chip pancakes, her picks beat the endowment teams from Harvard, Cornell and Brown University. Eight-year old Mackenzie did even better. Her portfolio earned a compound annual return of 6.26 percent over the past ten years. 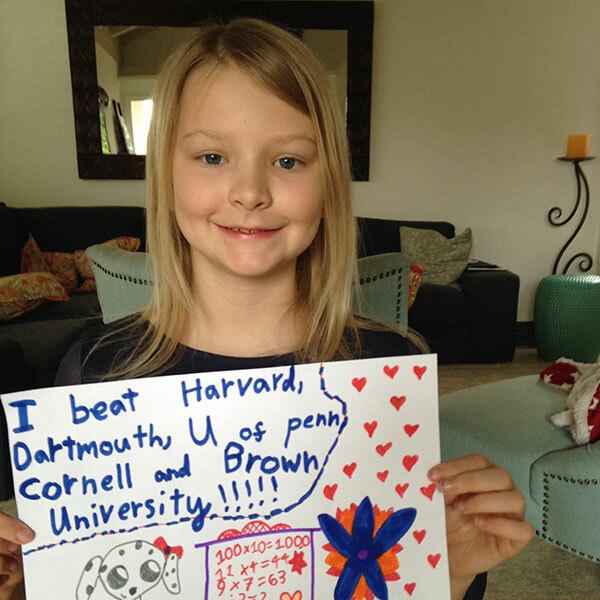 She would have beaten Harvard, Dartmouth, University of Pennsylvania, Cornell and Brown. Only Yale, Princeton and Columbia would have beaten Mackenzie. And they didn’t win by much. The top performer, Princeton, beat Mackenzie by an average compound return of just 0.92 percent per year. If we average the Taylor sisters’ performances, they would have beaten the average return for the Ivy League professionals. Riley and Mackenzie would have turned $10,000 into $17,700. The Ivy League endowments would have turned the same $10,000 into $17,639. You might think the girls got lucky. But I disagree. Their father, Dave, doesn’t follow the stock market. That’s why I asked him to pick the same number of funds (as his daughters did) in each of the five respective categories. It took him about 40 seconds while he was making pancakes. His portfolio averaged a compound annual return of 8.01 percent. He would have beaten every Ivy League endowment fund over the past ten years. I asked my wife to try it next. Her portfolio would have averaged a compound annual return of 6.16 percent per year. She would have also beaten the average return of the Ivy League endowments. Use portfoliovisualizer.com to enter the funds’ ticker symbols. Allocate 5 percent to each of their selected 20 funds. Set the start date at January 1, 2008, with the end date at December 31, 2017. Once again, I didn’t provide a list of “winning” funds to choose from. These funds represent all of the iShares ETFs with 10-year track records in each of the five categories above. Some of the funds were dogs. Many of them found their way into the sisters’ portfolios. 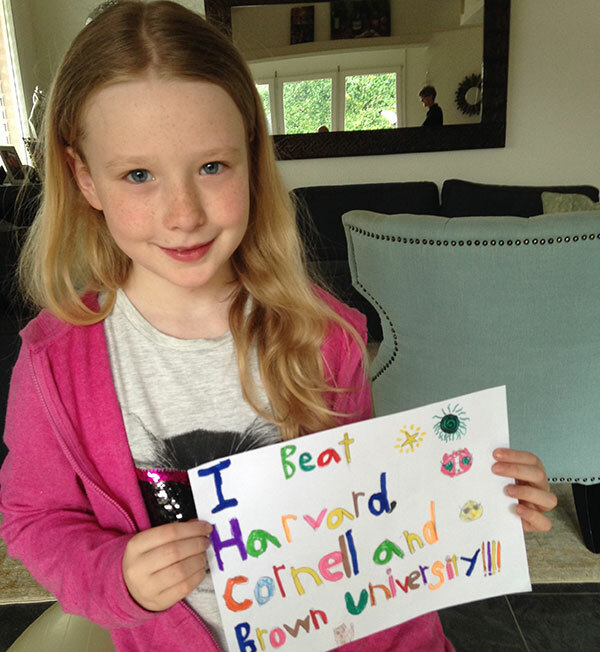 But Riley and Mackenzie still beat Harvard–and the average return of America’s most famous college endowment funds. If you build a diversified portfolio of low-cost index funds, you’ll likely do the same over the next ten years.